I figured I'd try to add usr/bin to my path, but I can't find .bash_profile to edit it since typing edit .bash_profile won't work. I can't set the Finder to show all files since my terminal won't recognize the commands necessary to do that. Since two commands are missing something “stomped” your path. Before doing anything big, kicking off a backup might be prudent. If you reset the path by typing the above into a shell window, and then typing export PATH it should fix that one window. So you can start there and see what else might be amiss and fix it in your startup dot files or elsewhere it gets defined. This should fix the problem completely and permanently. first, export environment paths by using below command in the terminal. 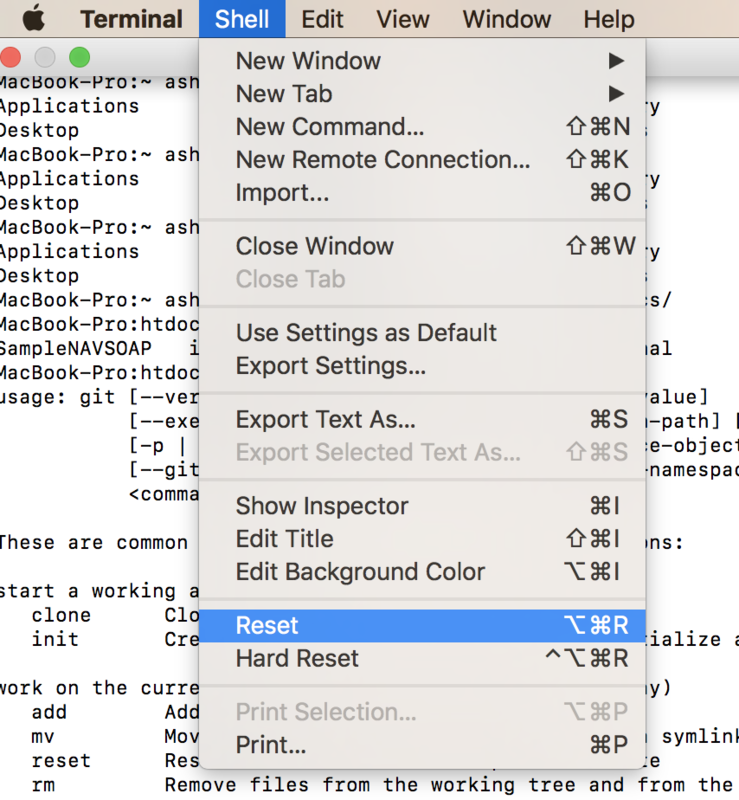 press 'control'+'o' to save (WriteOut) and 'control'+'x' to exit nano. All done ! Now try the commands. If it isn't there, you'll need to restore it from a backup or another machine with Lion installed, or install Lion again. If it exists but isn't executable, try using Disk Utility to Repair Disk Permissions. If it does exist and is executable (and it contains some code), either it may not be getting run when it's supposed to or your startup script may somehow be overriding it. As a workaround, try putting . /etc/profile at the start of your ~/.bash_profile to ensure it is run. If you still encounter the problem, add echo $PATH after running it to see if PATH was initialized properly. If it was, something in your script is changing it. to see what it produces. In any case, if the problem isn't in your startup script(s), please contact Apple support http://www.apple.com/support/contact/ or report a bug at https://bugreport.apple.com/ to let Apple know there's a problem. To check that it is indeed a problem with your path, what's the result of /bin/ls ? If it works, than you should restore your path to /usr/bin:/bin:/usr/sbin:/sbin:/usr/local/bin:/usr/X11/bin, you can use for example VI whose path is (on my mac) /usr/bin/vi. I was trying to set my maven path to envoronment variables when this happened. So I just moved my .profile and .bash_profile file to trash and tried again and it worked. Resetting your terminal will work. It will reset your basic configurations. Reset your terminal. From top navigation go to Shell >> Reset. Looks like your PATH variable is corrupt. Check if by any chance you are modifying the PATH variable within your script or simply check the PATH by saying echo $PATH and you can make sure if nothing is corrupt. Not the answer you're looking for? Browse other questions tagged terminal finder . Mac OS X unusual bash activity?